Essure, a medical device that offers female sterilization, has been found to cause significant problems for women. 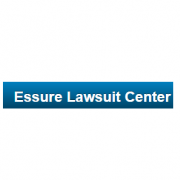 Essure risks include persistent pain, perforation of the uterus or fallopian tubes, intra-abdominal or irregular bleeding, allergic and hypersensitivity reactions. Some women have become pregnant after Essure was implanted, and some patients have undergone surgical procedures to have the device removed. A form of permanent birth control marketed by Bayer HealthCare, Essure is currently the subject of FDA scrutiny due to adverse event reports and questions regarding the product’s safety and effectiveness. An estimated 750,000 women have been implanted with Essure in the United States. Thousands of women reporting Essure problems and complications have signed on to a Citizen’s Petition, calling for the FDA to retract approval of the contraceptive device.